Please have a look at the German part of "Links" - Stammbaum Grillmeier - and names and places. My great-4-grandfather Johann Kaspar Grillmeier (b. 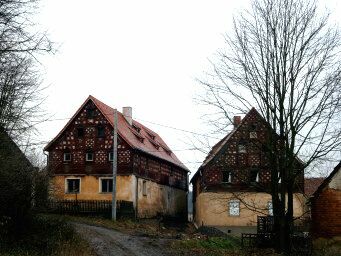 1710) died in Ulrichsgrün - now in Czech Oldrichov - January 11th, 1796. He and his wife Margaretha (b. 1724, d.April 27th, 1802) had a son Bartholomäus Grillmeier (b. 1744, d. October 29th, 1800 in Ulrichsgrün). He married Anna Maria Ploner (b. 1747 in Ulrichsgrün, d. November 5th, 1807 in Ulrichsgrün). Their son Joseph Kaspar Grillmeier (b. November 15th,1776 in Ulrichsgrün) married on June 28th, 1799 Eva Magdalene Müller (b. 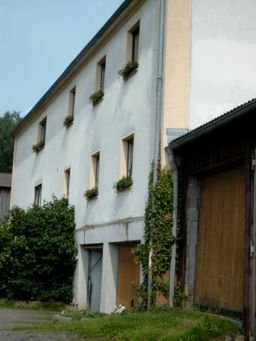 1781 in Altalbenreuth in Czech: Mýtina, d. November 13th, 1842 in Altalbenreuth). They had twin-sons Joseph Lorenz Grillmeier and my great-grandfather Johann Kaspar Grillmeier (b. July 9th, 1808 in Ulrichsgrün, d. August 6th, 1862 in Neualbenreuth). 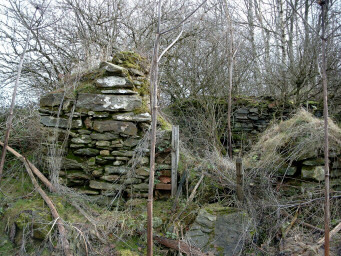 Ulrichsgrün was destroyed after the Second World War and the German speaking citizens of Czecho-Slovakia were expelled from their homes to Germany or Austria. 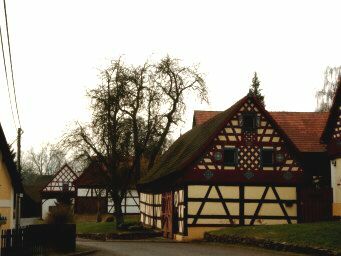 My ancestors had lived since 1850 in Neualbenreuth across the border in Bavaria. 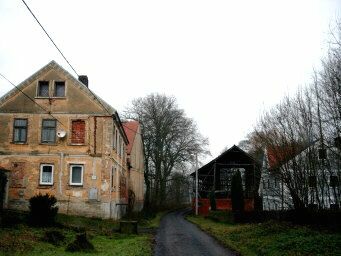 In Taubrath/Doubrava my great-4-grandfather Andreas Ott was born in 1728 (d. November 2nd, 1806 in Taubrath). He was married to Margaretha Gradl (b. 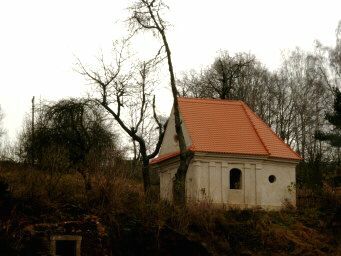 1739 in Kleinschöba/Malá Všebor, d. February 6th, 1799 in Taubrath). Their son Matthias Ott (b. January 26th, 1775 in Taubrath, d. February 24th, 1836 in Taubrath) married November 25th, 1806 Anna Maria Glassl (b. March 16th, 1789 in Taubrath, d. March 17th, 1822 in Taubrath). Their daughter - my great-grandmother Anna Maria Ott (b. August 23rd, 1817 in Taubrath, d. November 8th, 1868 in Neualbenreuth) married on June 29th, 1839 in Taubrath Johann Kaspar Grillmeier, my great-grandfather from Ulrichsgrün. 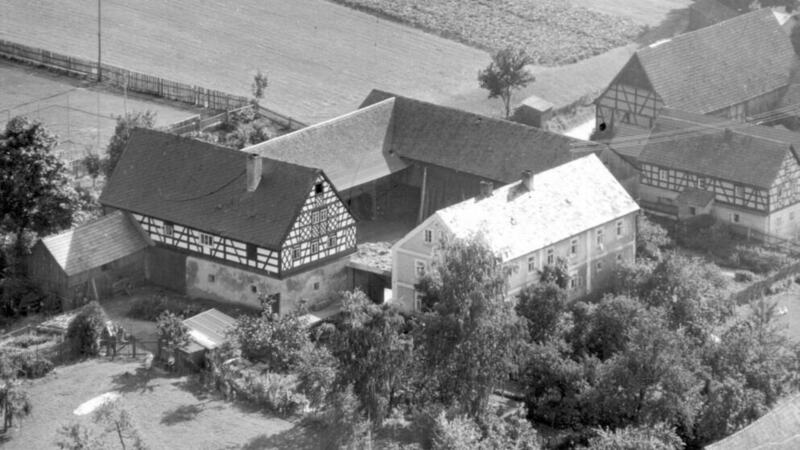 They acquired in Neualbenreuth/Upper Palatinate (Oberpfalz) a farmhouse (named “Rustlgrilln”). There are still relatives living in this house. The parents of my grandmother Anna Ott (b. February 9th, 1866 in Neualbenreuth, d. December 1st, 1937 in Neualbenreuth) were Andreas Ott (b. September 27th, 1839 in Hatzenreuth, d. February 11th, 1916 in Neualbenreuth) and Anna Sophie Scharnagl (b. September 1st, 1835 in Neualbenreuth, d. July 24th, 1889 in Neualbenreuth). 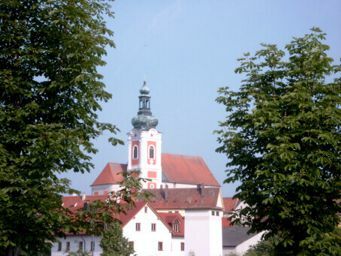 This line of the Otts goes back to Johann Adam Ott (born in Matzelbach, Czech: Maškov, now part of the city of Eger/Cheb) and his wife Eva Margaretha John (b. 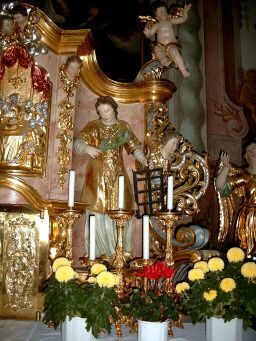 1733 in Matzelbach, d. February 29th, 1804 in Matzelbach). Their son Johann Nikolaus Ott (b. January 3rd, 1777 in Matzelbach, d. September 4th, 1848 in Matzelbach) married Eva Margaretha Mayer (b. 1778 in Dölitz, Czech: Dolnice, d. July 10th, 1838 in Matzelbach). Their son Johann Michael Ott (b. September 10th, 1811 in Matzelbach, d. April 15th, 1874 in Hatzenreuth in Bavaria) married Magdalene Franziska Bäuml (b. February 9th, 1814 in Hatzenreuth). The Scharnagl line derives from Kaspar Johann Scharnagl (b. March 2, 1729, d. May 13, 1783 in Querenbach) and his wife Anna Maria Margarethe Stritzl (b. November 6, 1735 in Schachten) and their son Georg Anton Josef Scharnagl (b. May 3, 1774 in Querenbach, Bavaria, d. December 17, 1842 in Querenbach) who married Maria Elisabeth Frank (b. 1774 in Ulrichsgrün, d. December 12,, 1836 in Querenbach). Their son was my great-2-grandfather Johann Kaspar Scharnagl (b. April 14th, 1805 in Querenbach, d. December 3rd, 1864 in Neualbenreuth) married Maria Anna Theresia Ott (b. August 26th, 1806 in Neualbenreuth, d. July 24th, 1836 in Neualbenreuth). 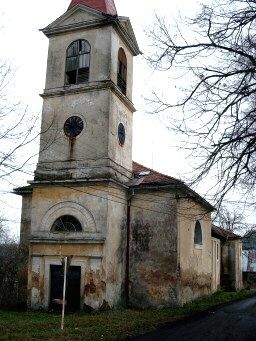 In Palitz (Czech: Palic) was the parish-church for Ulrichsgrün. 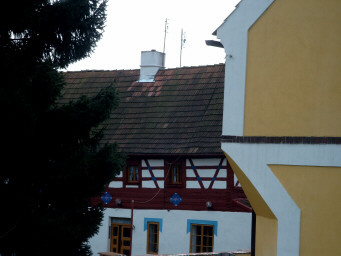 Around 1995 - after the fall of the Communist regime in Czecho-Slovakia and the foundation of the Czech Republic - in Taubrath German investors renovated the remaining houses showing the rich Egerland framework and so made a contribution not to forget this cultural heritage of the former settlers.